Catch Up on The Latest News From Fresh Forage! Fresh Forage was featured as #1 in Detroit Eater’s article as one of the hottest restaurants in Ann Arbor! Fresh Forage has a lot to offer Ann Arbor and the local community, both in terms of food and experience! Where else has fast, convenient farm-to-table food with everything made from scratch in-house? The menu changes with the seasons so be sure to check back often! Ann Arbor Family has a few things to say about Fresh Forage. Awesome article and a fun read describing the variety that Fresh Forage has to offer - including the highly dynamic seasonal menu and the food offerings that appeal to any palate, big or small, young or old! Fresh Forage is a great option for family’s with picky eaters and limited time. Check out the article in the November 2018 issue of Natural Awakenings in Ann Arbor for some insight into our vision for Fresh Forage as a whole! From locally-sourcing our ingredients (both produce and meat) to have zero post-consumer waste by only offering compostable items, we share what Fresh Forage means to us and how we hope to make an impact not only in the local community, but in the larger ecosystem that we all share. Cool spotlight from Current Magazine featuring local chefs in Ann Arbor, including our own Chef Samuel! Chef Samuel loves cooking with garlic and infusing an eclectic mix of cuisines into every dish he creates and every ingredient he works with at Fresh Forage! GoDairyFree features Fresh Forage as a great spot in Ann Arbor to find Dairy-Free options on the menu (our menu is over 90% dairy free!). Craft your own bowl with what you like, dairy or not, there is something for everybody at Fresh Forage! Plus the allergen indicators on the menu make it very clear what contains the Big 8 Allergens. This is opposite of most restaurants which indicate when something is free from an allergen, Fresh Forage instead indicates when something contains the allergen! Chelsea Update shares some background into the owners of Fresh Forage and what Fresh Forage has to offer the local community! Whether it is food that everybody can eat, no matter their diet or allergies, or providing local farmers a place to take their bountiful harvests - Fresh Forage makes an impact on the local community in a number of ways! It also helps that owners Samuel Boyce and Andrew Sereno are both from Chelsea, MI originally, now live in Dexter, MI and Fresh Forage is in Ann Arbor, MI! We Love Dexter sat down for an interview with us and got the scoop on what Fresh Forage means to us and what customers can expect when they come to try out Fresh Forage! What is Farm to Table, Fast? Fresh Forage offers a convenient, healthy option to diners in the Dexter/Ann Arbor area made from fresh, locally-sourced ingredients. Ann Arbor Observer shares what makes Fresh Forage different than other restaurants in the area and the transformation that took place to make Fresh Forage a reality! Get ready for Fresh Forage! 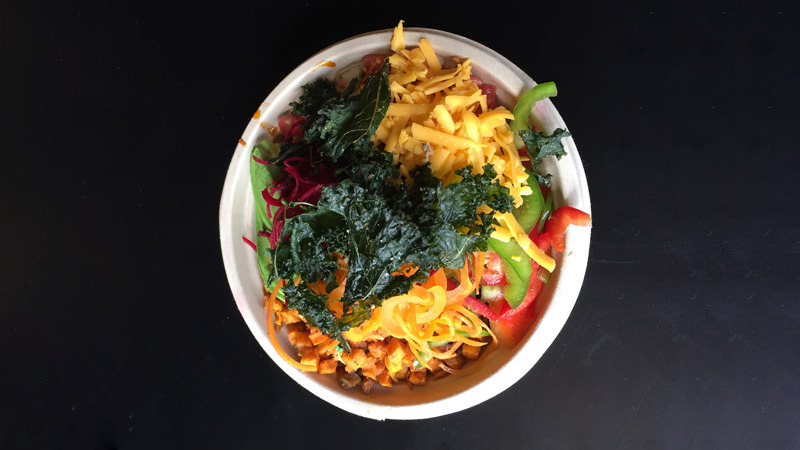 Coming to the west side of Ann Arbor - Fresh Forage offers a diverse cuisine with options for everybody, in a craft your own bowl format!